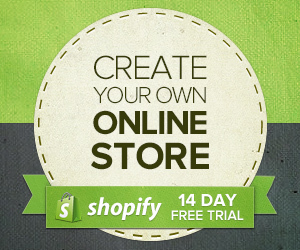 Shopify makes it easy to open an online store by providing all the tools and help you need. Click the cool banner to try it for free! Use Shopify to design a beautiful online store. Yes. If you ever decide that Shopify isn’t the best ecommerce platform for your business, simply cancel your account from your control panel. Yes! Please contact us (1-888-329-0139 or by email) and we can put together a quote that best fits your ecommerce needs. We also offer Enterprise and Non-Profit plans to qualifying companies. Yes. Your online store can use an existing domain name that you own, or you can purchase a domain name within Shopify’s control panel. We also provide a free myshopify.com domain name to all stores on sign up. Real-time carrier shipping connects your Shopify account with a UPS, USPS or FedEx account to calculate shipping costs in real time for your customers. This means you don’t need to manage your shipping rates manually. No. All Shopify plans include secure, unlimited ecommerce hosting for your online store. Shopify uses the best servers, networks and a global CDN to ensure your ecommerce site is reliable and fast. Learn more. Yes. Shopify is certified Level 1 PCI DSS compliant.This means all your data and customer information is ultra secure. Learn more. The Shopify Theme Store hosts a collection of over 100 premium and free ecommerce website templates. With themes created by world-renown designers like Happy Cog, Clearleft and Pixel Union, you’ll love how your store looks on Shopify. Customize the look of your website. Shopify’s simple Liquid templating language makes it easy to customize every aspect of your store’s theme. Liquid is both powerful and quick to learn. You have complete control over your website’s design. 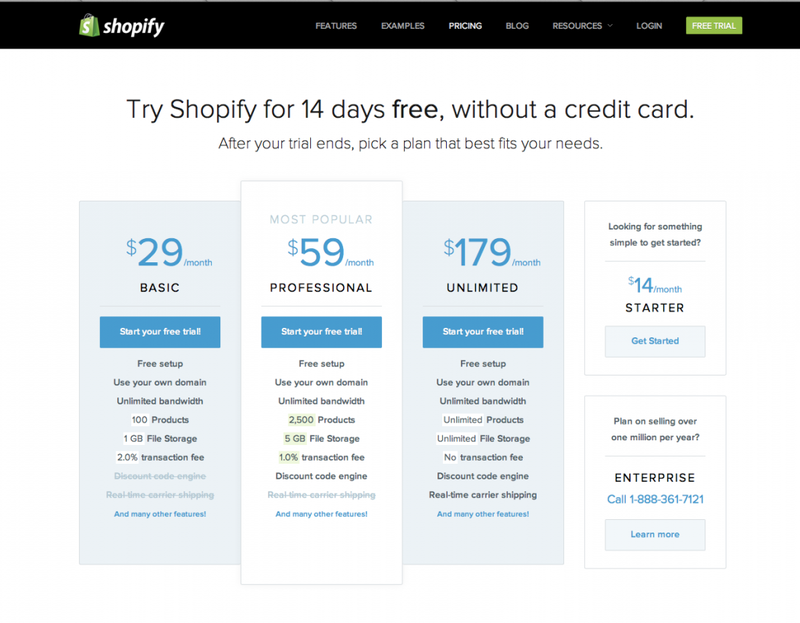 Take a look at what some of Shopify’s customers have done with their templates.